Ich lebe, mein Herze, zu deinem Ergötzen (I live, my heart, for your delight), BWV 145, is a church cantata for Easter by Johann Sebastian Bach. He composed it in Leipzig and likely first performed it in 1729. The cantata is extant only in a later copy. The text of five movements for the Third Day of Easter ("den dritten Osterfesttag") was published in Picander's annual volume of cantatas of 1728, therefore a first performance on 19 April 1729 seems likely. The prescribed readings for the feast day were from the Acts of the Apostles, the sermon of Paul in Antiochia (Acts 13:26–33), and from the Gospel of Luke, the appearance of Jesus to the Apostles in Jerusalem (Luke 24:36–47). The five movements on Picander's text seem rather short for the purpose, therefore Alfred Dürr suggests that Bach might have added a sinfonia, as in two cantatas of the period, BWV 174 and BWV 188, admitting that there is no source to substantiate it. 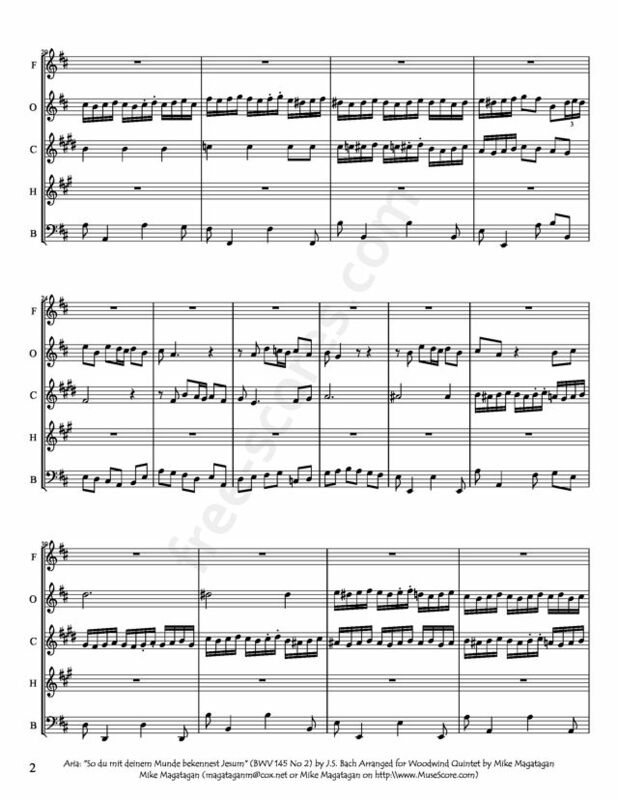 Instead, in the copy the five Picander movement are preceded by two movements, a four-part of the first stanza of Caspar Neumann's chorale "Auf, mein Herz, des Herren Tag" (ca. 1700), and then the first movement from a cantata by Georg Philipp Telemann, "So du mit deinem Munde bekennest Jesum", a paraphrase of Romans 10:9. The beginning of the latter is the title of the copy. The two movements may have been added after Bach's death to make the cantata fit to be performed on Easter Sunday. Picander did not refer to the specific readings for the Third Day of Easter in his text. According to Klaus Hofmann, Carl Philipp Emanuel Bach expanded the cantata by the two additional movements in Hamburg (after 1768) and set the first movement himself. 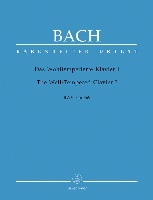 According to Christoph Wolff, the cantata may have been compiled by Carl Friedrich Zelter for the Sing-Akademie zu Berlin. The closing chorale is the fourteenth and final stanza of Nikolaus Herman's Easter hymn "Erschienen ist der herrlich Tag". The first added movement is a four-part setting of the chorale stanza. 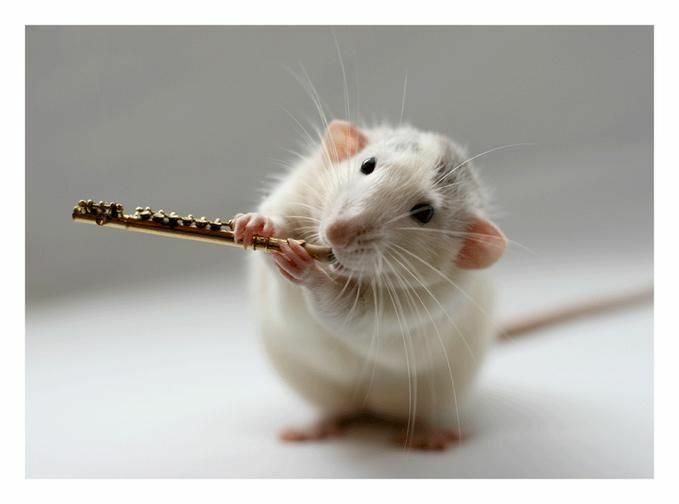 The Telemann movement is in two parts, a duet and a choral fugue, with strings and instruments colla parte and a partly independent trumpet. 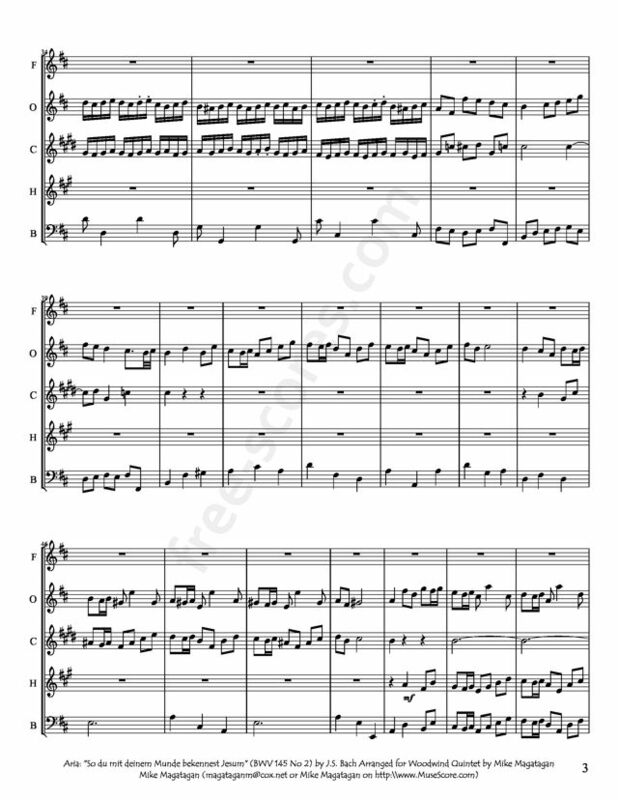 In Telemann's cantata, it was preceded by an instrumental introduction on the same theme. The music on Picander's text begins in movement 3, a duet with obbligato violin. The tenor expresses the position of Jesus "Ich lebe, mein Herze, zu deinem Ergötzen" (I live, my heart, for your pleasure), whereas the soprano answers as the believer: "Du lebest, mein Jesu, zu meinem Ergötzen" (You live, my Jesus, for my pleasure). The movement resembles duets of Bach's secular cantatas and is possibly the parody of an unknown work. It is unusual that Bach has the tenor represent the voice of Jesus. The following secco recitative ends as an arioso to stress the words "Mein Herz, das merke dir!" (My heart, take note! ), a thought picked up in the following bass aria, the movement with the richest instrumentation, all instruments but the viola. It has the character of a dance in even periods and may also be a parody of a secular work. The cantata is closed by a four-part setting of the last stanza of the Easter chorale "Erschienen ist der herrlich Tag". 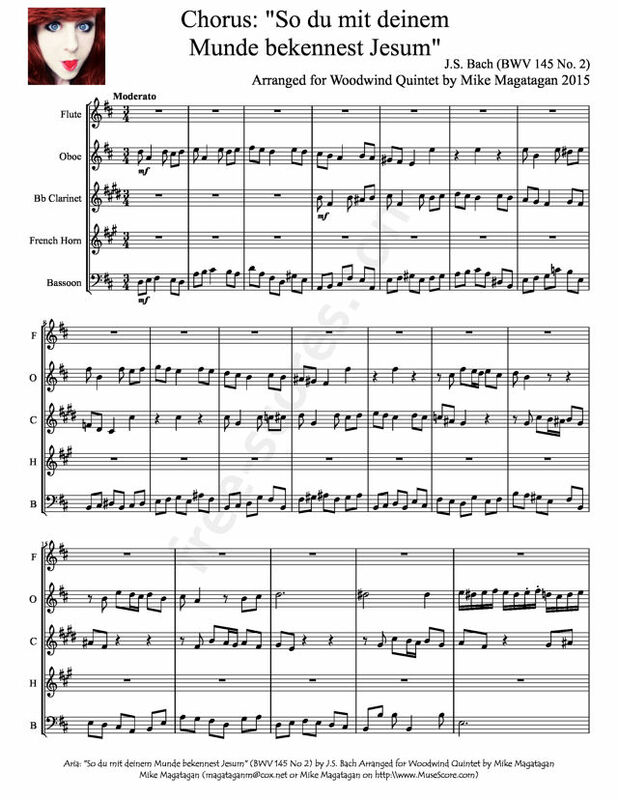 Although this cantata was scored for three vocal soloists (soprano, tenor and bass), a four-part choir, trumpet, flauto traverso, two oboe d'amore, two violins, viola and basso continuo, I created this arrangement for Woodwind Quintet (Flute, Oboe, Bb Clarinet, French Horn & Bassoon).